Hitters Age Like Wine — Power Like Cheese? Wine and cheese make for a delectable combo. But the two foods don’t age the same. Wine takes much longer to turn to vinegar than it does for your cheese to grow fuzzy green mold. That’s why wine is the one used in sayings by older men verifying their remaining virility. Power, patience and contact are the components of a delectable (productive) hitter. And yet, like wine and cheese, it turns out that these different skills age differently. Ages 26 through 28 are often used to represent a hitter’s peak, but not all of their different faculties are at their apex in that age range. Let’s check the aging curves, once again courtesy stat guru Jeff Zimmerman. Zimmerman used the delta method to weight the work of players in each age bracket. These aging curves go back to 2002. The flat peaks of all three curves are good indicators: It’s hard to nail down a distinct peak age when a hitter’s ground-ball, strikeout, and walk percentages all hit a plateau from around 26 to 29 years old. Let’s take the curves and see what they tell us. As a blanket statement, though, we can say that each of these curves do not represent huge swings in results — take 5% off of a 12% walk rate, and you still have an 11.4% walk rate. 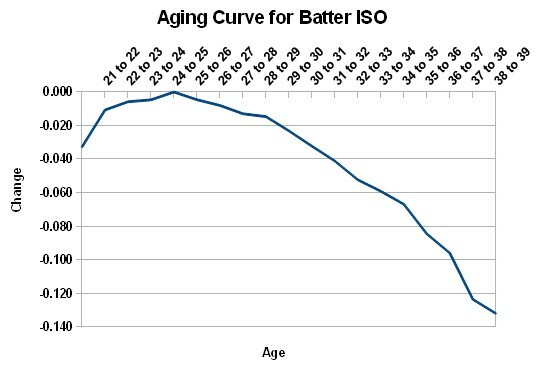 Still, in the aggregate, these aging curves can tell us about the tendencies of most batters. Walk rate performs just about as you might expect. 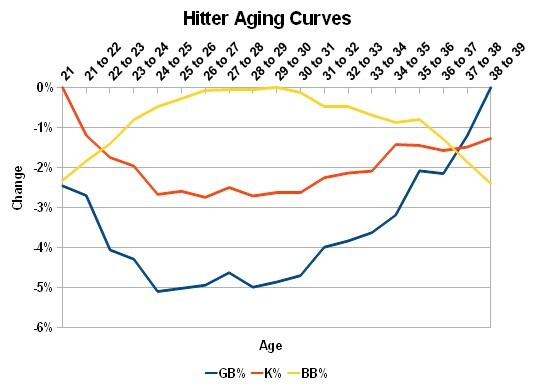 Hitters peak from 26 to 29 years old. They improve their walk rate when they first hit the league, and then as their skills erode, so does their patience. It might be the flattest curve — until 35 they still haven’t lost 1% off their peak walk rate — but it’s a curve nonetheless. 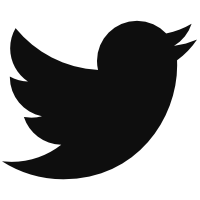 Patience is nice and stable, relatively. Strikeouts improve sort of drastically, but not for long. Your average hitter might improve his strikeout percentage until he turns 24 or 25 and enjoy a nice long peak. But then by 34 he’s already lost more off his peak strikeout rate than he did off his peak walk rate. Look at age 31, and you’ll see that’s where the first significant decline in both strikeouts and walks come. It’s more pronounced and detectable than any age-27 peak — perhaps we should be talking about age 31 seasons being critical in a negative way instead of focusing on the 27-year-old peak performer. Since fewer ground balls lead to more power, we’ll call that nadir at 24 years old a peak. The ground-ball curve may be the most interesting one — it’s the most volatile and it shows the shortest and earliest peak. If you want to ignore that hiccup at 27 years old, you can give it a short peak from 24 to 28. Or you can say ground ball rate peaks at 24 to 25 years old. This has power implications, so let’s check out an aging curve for isolated power before we go further. Surprised? That’s a pretty definitive peak for power, and it might be a little earlier than most would think. The fact that ground ball rate bottoms out (peaks) at the same age — 24 — suggests to me that there is a magic age range for power, and it’s earlier than we might have thought. Perhaps this makes sense from an athleticism stand point. Bodies may peak earlier than skills. If repetition can improve a batter’s sense of the strike zone and make him a better hitter overall as he approaches 30, he might still be falling off a pure muscle-bound power apex. Take a player like Mike Stanton as an example. We used comps to show that, at 22 years old, he’s likely to improve his strikeout rate going forward, so this research doesn’t add too much of a wrinkle upon that finding. If it’s possible, though, this last graph could suggest that we should be even more excited about his future. He’s got his power peak in front of him still. But other players take a (tiny) hit under this light. Matt Kemp had an awesome year this year, obviously, and at 26 it’s tempting to continue drawing a straight line through his ISOs — he’ll hit more than 40 out next year, right? This research suggests that it’s likely the 26-year-old is on the wrong side of his power peak. 27-year-old Ryan Braun may see a power dip, and it might not have anything to do with his recent positive test. Look up and down last year’s qualified ISO leaderboard, and you’ll only see Stanton and the 23-year-old Justin Upton definitively on the correct side of their power peaks. Some aspects of a hitter’s game do age like wine — he’ll walk more and strikeout less every year until he’s close to 30 years old at least. But power? Power ages like cheese. Don’t leave your slugger in the fridge past 26 years old, or you’ll see the mold spores beginning to form. Don’t throw it out (all cheese has some mold in it anyway), but remember these curves when projecting performance. We hoped you liked reading Hitters Age Like Wine — Power Like Cheese? by Eno Sarris!